Tired of searching all over for different diagnostic equipment? 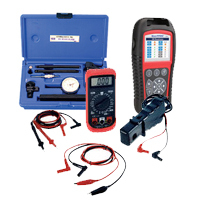 We have an extensive diagnostic equipment catalog that can help you diagnose issues from everything to fueling, emissions, scanning for fault codes, testing components with multimeters and much more. Don’t waste time scouring the internet for units when we have everything you need all in one spot!